Our shining star is leaving team Decorator Girl to move to Colorado with her guy. As many of you know I brought Melissa on almost three years ago. Her overwhelming enthusiasm and willingness to learn residential design was so refreshing. However, her personality, hard work, and talent is what won her over to many of you. As for me, many of you thought Melissa was my daughter. Well, she’s my work daughter... but truly if I had ever been blessed with a daughter, I would have been extremely fortunate to call her mine. I’ve cherished our decorating adventures, our time driving around together but mostly I have cherished Melissa. It’s been my privilege to teach her and create with her but most importantly, it’s been my distinct and heartfelt honor to call her my work daughter. She will be missed by so many of you but especially by me. It is all about the finishes. The “designer” touch is about adding the jewelry to the end of the project. What people see in a home are the final touches. 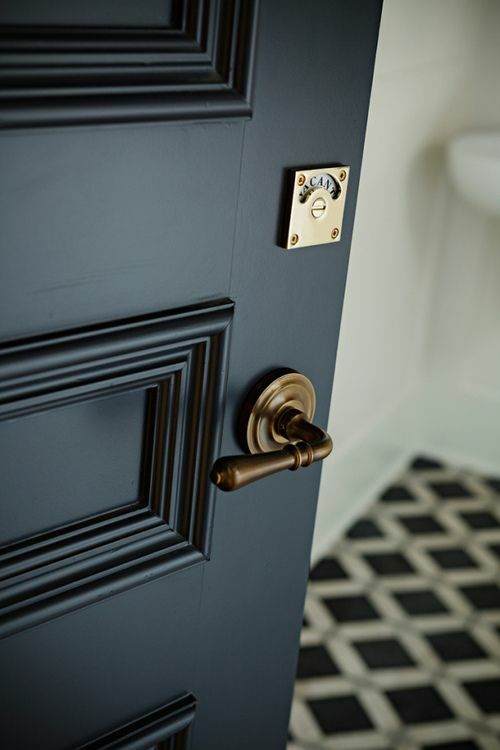 If you give a little thought to the finishing details… you will have the perfect space. When you hear the expression “it’s the little things,” you know it is true. 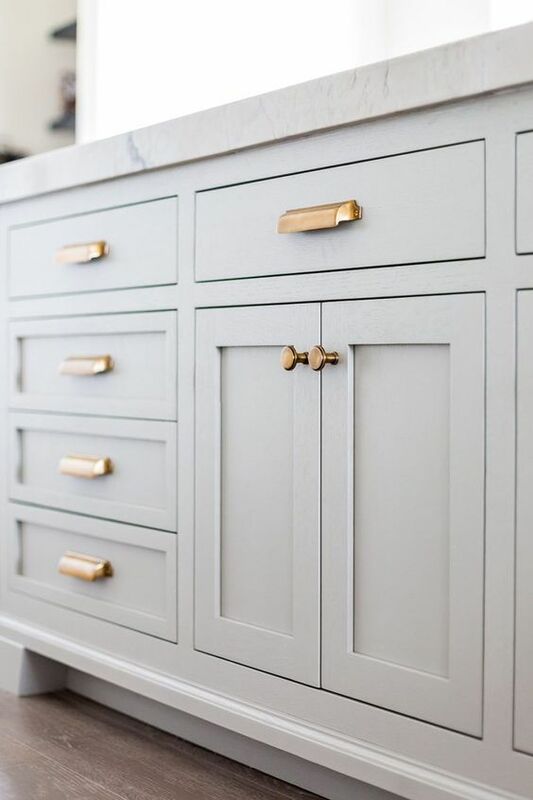 The hardware always makes the cabinet shine and the hardware on the doors makes entering a room memorable. Sometimes, the smallest spark lights a match. If you pay attention to every detail that goes into your home, you will truly have a special space. As the new year commences, so do the new design trends. Whether it is a popular new color, pattern, or style, it is always exciting to see what the new year has in store for the design world. One of my favorite design trends is the use of neutral and earthy tones. This includes raw wood, neutral paint colors, and tone-on-tone materials. This color combination is timeless and can be used in any room of the house. One trend that I use a lot in art installations is the use of a gallery wall. 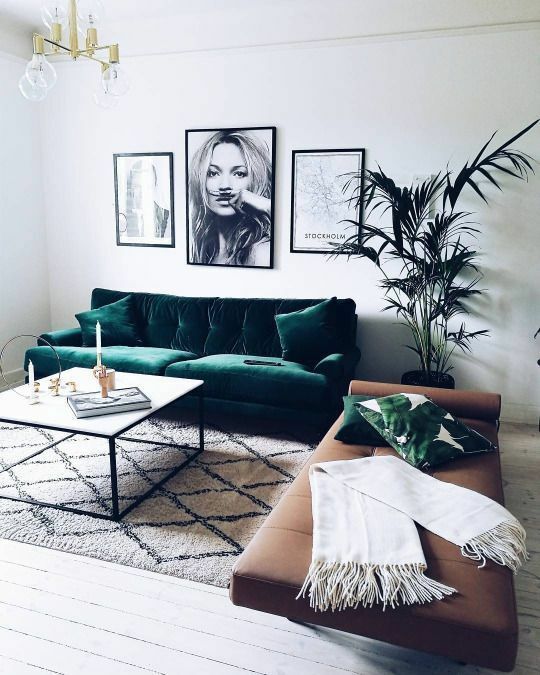 This look is great for large walls. You can pick the same frame and repeat it in a grid. Fill your frames with black and white family photos for a personal touch. Another popular design craze is the use of brushed golden metallics. This is a fun finish to use when mixing metals or to add a fun pop to a space. Another fad in the design world lately is the use of three dimensional wall art. I love this technique because it adds dimension and interest to your walls. Finally, the use of velvet is popular lately because of the rich texture it adds to a room. The year 2018 is the perfect time to revamp your space and incorporate some of the new design trends. Who doesn't consider the bedroom their oasis? A cozy spot to curl up at the end of a long day is the perfect way to unwind. What better way to do that than in a cushy canopy bed? It’s all about the bed in your master suite. If you want to make a statement but also keep a relaxed feel, a canopy bed is the perfect way to achieve that look. Some styles have a metal frame and some are made of wood. You can also choose to have an upholstered back or keep the material consistent throughout. 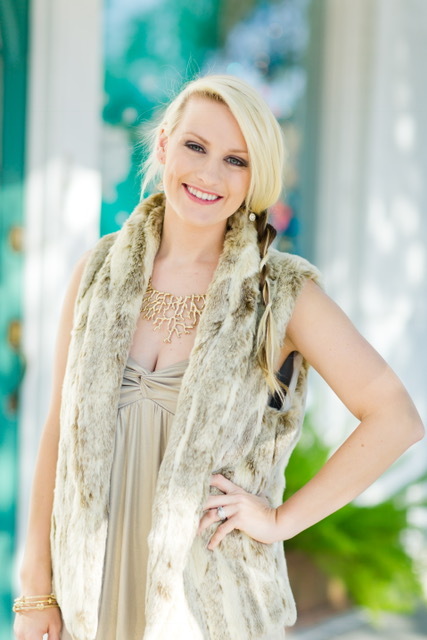 One of my favorite attributes is that you can dress them up or keep the look very casual. They also fit into many different design styles. Just add a great pair of nightstands, some amazing lamps, and some beautiful art, and you will see exactly what dreams are made of. There are many opportunities in your home to marry functionality with beauty. 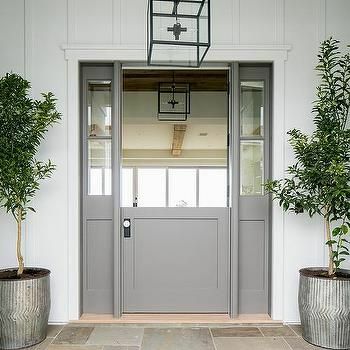 A perfect example of this design concept is with a dutch door. Dutch doors give you the distinct design opportunity to mix different materials and styles all in one. The bottom of the door remains closed which is useful to keep pets and small children safe inside. The top can be opened to allow a cool breeze to come in or to let natural light flow throughout your home. While these things are practical, dutch doors are also an appealing design feature. This is where you can add extra molding, paint it a fun color, or even mix glass and wood together to create something beautiful to welcome guests into your home. If you don't know by now, I am very unconventional when it comes to decorating. At Decorator Girl, we like to think outside of the box and use accessories in a unique way to create something new and exciting. Ornaments are one of my favorite accessories to use during the holidays. The come in so many different shapes, sizes, colors, and materials. Ornaments look great assorted in a large bowl, vase or inside of a cloche. This can be the perfect centerpiece for your table. You can even scatter them on top of your runner to add a pop of color. You can hang them from your chandelier, your staircase, or even off of your mantel. They are the perfect touch on top of a gift if you mix them with some gorgeous ribbon and wrapping paper. 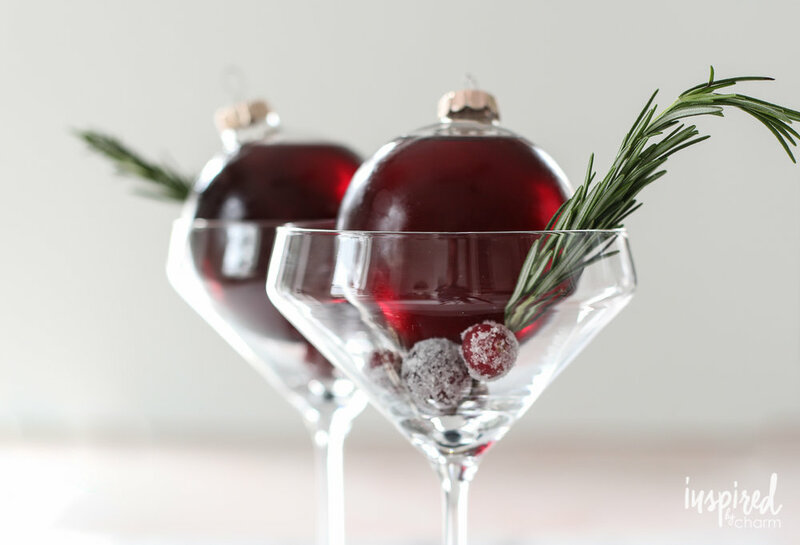 If you are planning on hosting a Christmas party, why not serve your favorite cocktail out of a glass ornament? They are the perfect festive, yet creative, way to impress your friends! Comment below with your favorite way to use ornaments in your holiday decor. The magic of Christmas can be seen through the beautiful decorations, the exquisite trees, and the twinkling of the glowing lights. What better way to spend the season then to celebrate in your community amongst your friends and family. 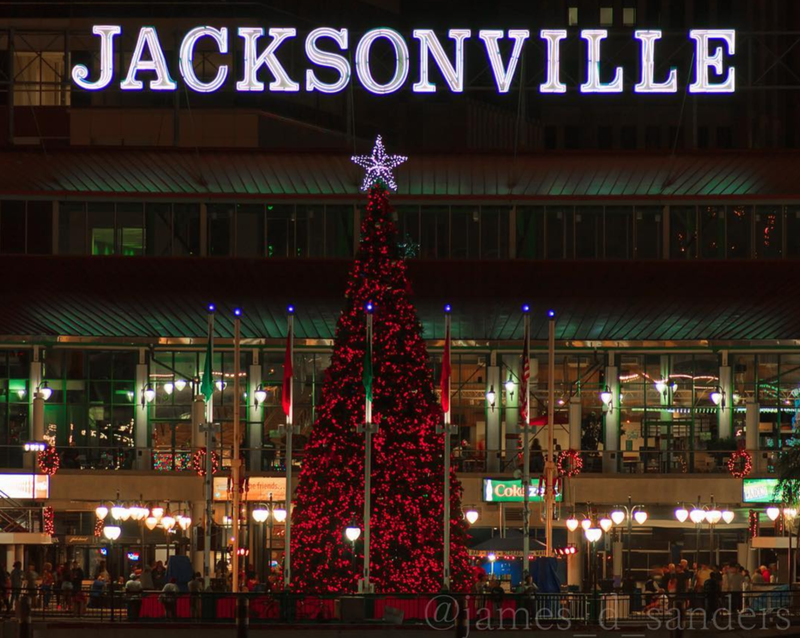 Jacksonville and the surrounding areas have so many beautiful displays of lights and merriment. The first stop on our list is Downtown Jacksonville which never fails to impress! Every night until the end of the year, the downtown offices will be illuminated in synchronization to holiday music broadcasted on 94.5FM during the Downtown Dazzle: An Illumination Celebration. One of my absolute favorite places to visit around the holidays is St. Augustine. They have the Nights of Lights where you can see all of the beautiful and historic buildings lit up in all of their glory. 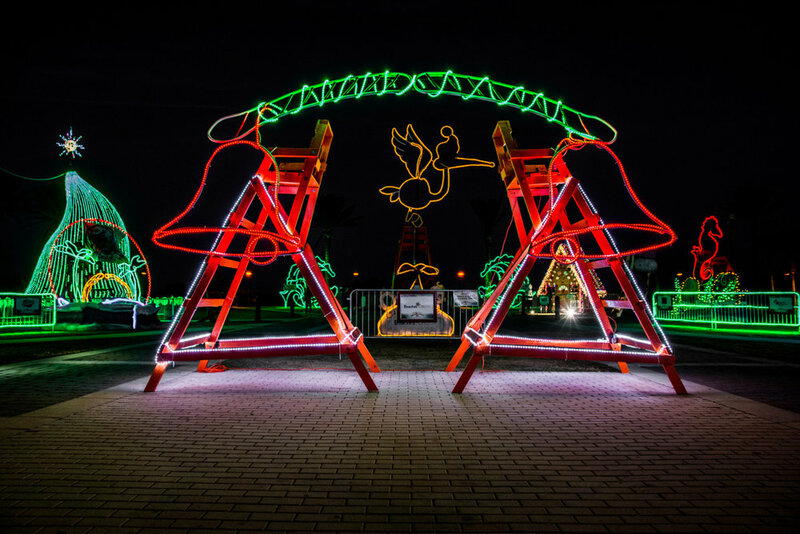 If you are spending your warm Florida Christmas at Jax Beach, check out Deck the Chairs. Listen to the sounds of crashing waves and see all of the lifeguard stands glow. With over a million brilliant LED lights, Jax Illuminations at the Morocco Shrine Center can be your new family holiday tradition. You can even view these beautiful lights from the comfort of your own vehicle because the entire display is a drive thru! Last but not least is the Jacksonville Zoo. This weekend they will have an amazing display of sparkling lights and wild animals for all ages to see! Enjoy the 2017 holiday season with the beautiful glow of lights in your own hometown! Window treatments are the perfect compliment to a great design. 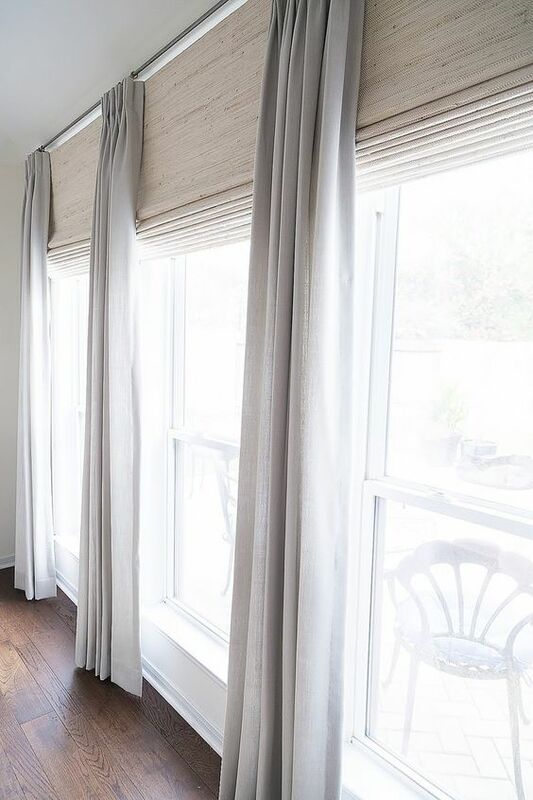 The best way to finish your window or door is with a soft, lovely roman shade. Window treatments are not as heavy and complicated as they used to be. Sometimes, less fabric can draw a greater impact. A roman shade is the perfect, yet also functional, solution to add texture and provide shade to a room. You can select a solid fabric like a linen, a patterned textile, or even a rattan shade. Roman shades tend to be mounted just inside the window casing but can also be mounted above a window if it has no trim around it. You can add beading or a trim to the edge of your shade to add a little something extra. When it comes to adding the finishing touch to your design, don’t forget about your windows! It is that time of year again! 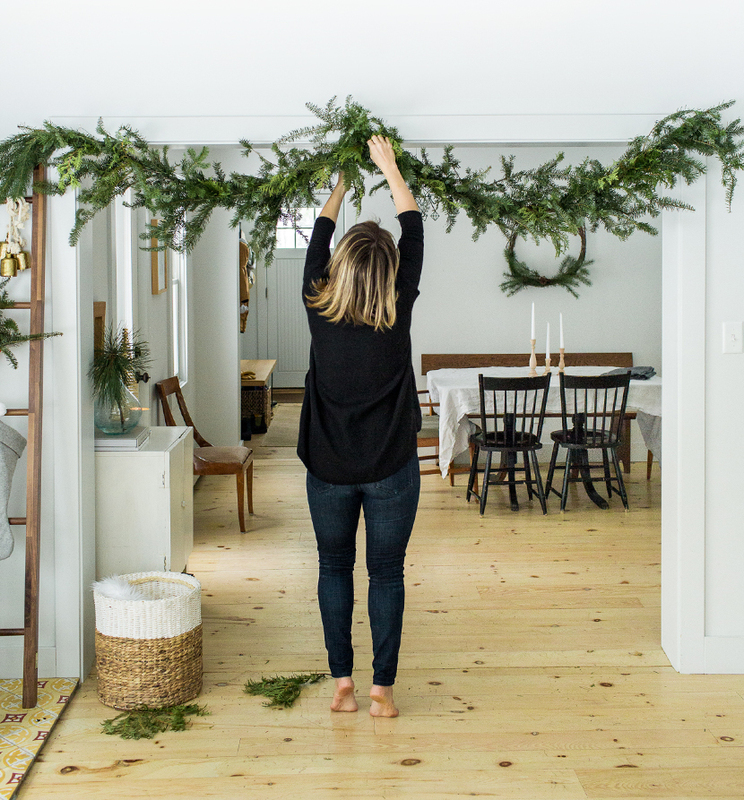 Time to decorate for the holidays and one of my favorite accessories is fresh garland. I love the versatility of a beautiful, full strand of garland. 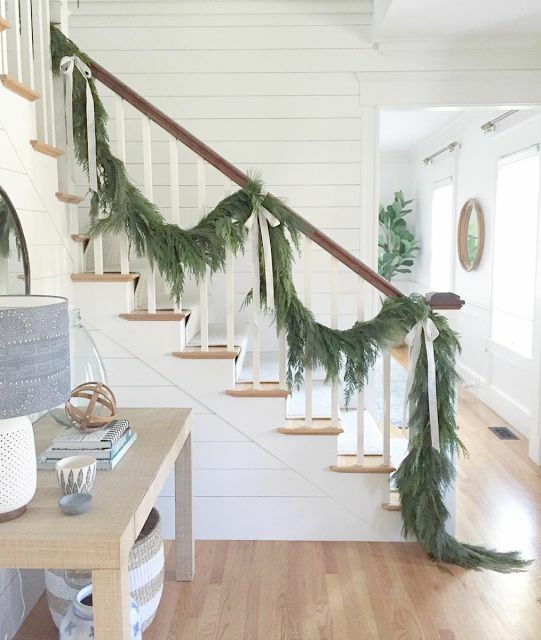 It can be draped down the stairs and mixed with silver and gold ribbon. Another popular location is hung over a fireplace or on the mantel. It looks great paired with ornaments, stockings or candles. I like to think outside of the box too when it comes to decorating for Christmas. 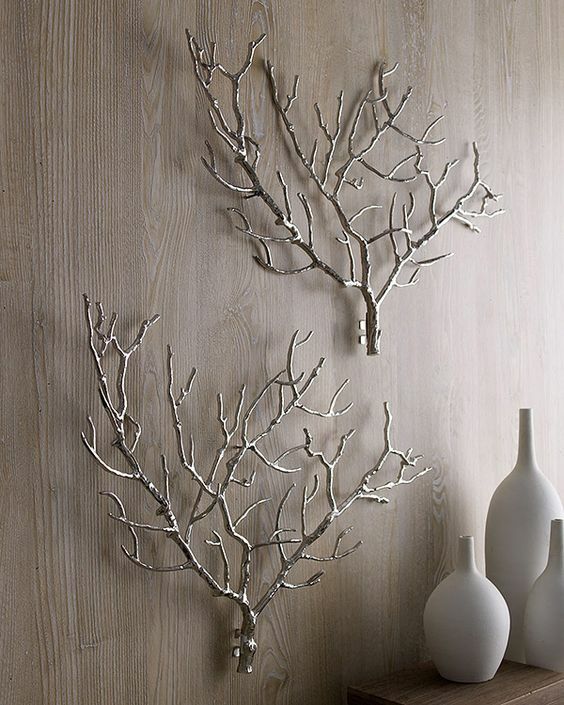 Garland can be draped over a piece of art, hung over a doorway, or even wrapped around a column. It can even be set on top of a console or an entry way piece. Fresh greens not only add a soft pop of color but the wonderful smells will fill your home all season long. Time to deck your halls!